Plus a sparkling wine & appetizers reception during intermission! 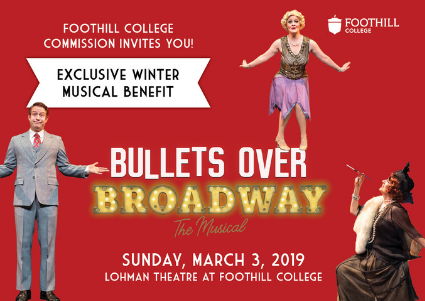 All proceeds benefit the Foothill Theatre Arts program. The Lohman Theatre is an intimate venue that holds 130 seats, so we ask that you make your reservations by February 25, 2019 - tickets sell out quickly! Tickets start at $75 each and sponsorships are available.